Chem-Dry of Michiana has been cleaning the South Bend and Elkhart areas since 1987 and we have the best approach to carpet cleaning. 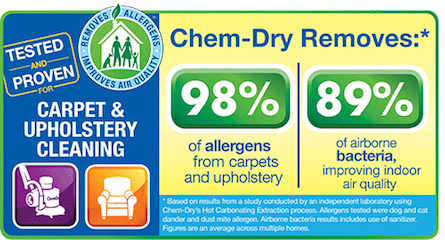 An independent lab has proven that Chem-Dry removes 98% allergens and 89% bacteria. Chem-Dry of Michiana uses the power of carbonation to extract more dirt and grime from your carpets, giving them a deeper clean. As well, our carbonated cleaning only requires us to use a fraction of the moisture steam cleaning requires. This allows your carpets to dry quicker and prevents the growth of mold and mildew under your carpet. Don't forget, when it comes to the best carpet cleaning in the South Bend and Elkhart areas, Chem-Dry of Michiana is your best choice. Our goal is to provide you with a clean and healthy home. Our hope is that you become a long-time client for years to come. Click below to schedule your cleaning appointment immediately. With our real-time booking, you can schedule your cleaning appointment 24/7 on your time. 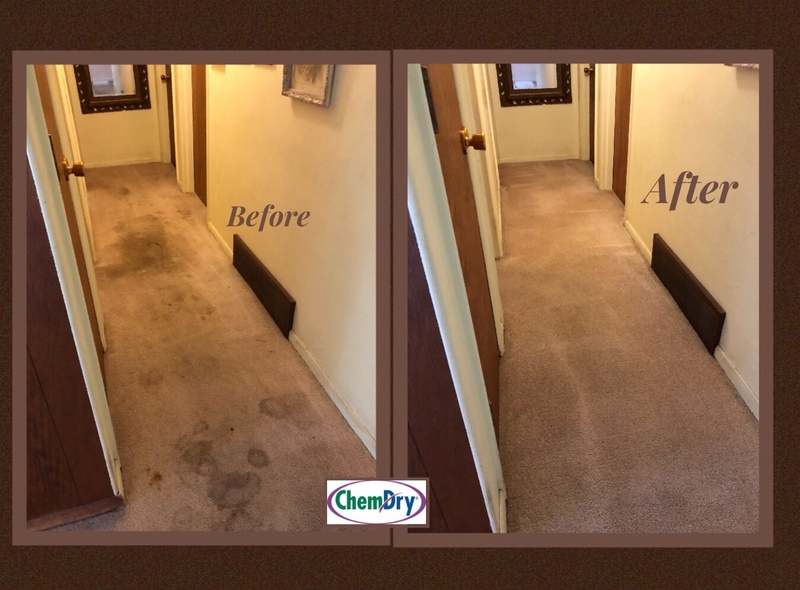 Chem-Dry’s cleaning process is better and healthier than other methods for your carpet. Chem-Dry’s carpet cleaning method uses the power of carbonation to extract more dirt and grime from your carpets. Because of the carbonation we use less moisture than a steam cleaner and your carpets will dry in 1-2 hours given good air flow. And it's been proven we remove 98% allergens and 89% bacteria from your carpets. How is Chem-Dry different than steam cleaning? Chem-Dry cleans with a low pressure spray that is heavily carbonated. This way we use one-tenth the amount of water as a steam cleaner and your carpets will dry in 1-2 hours not days. Chem-Dry solutions are green and we leave no sticky residue behind so your carpets will stay cleaner and healthier for a longer period of time. How is Chem-Dry different that a carpet shampooer or homemade solutions? How much does it cost to have carpet cleaned? Chem-Dry of Michiana charges by the square footage of carpet we are actually cleaning. We will not charge you where beds, dressers, and entertainment centers are sitting...only the areas we are actually cleaning. Our technicians will always come into your home and before they ever start cleaning they will measure the carpeted areas, quote our package choices and allow you to decide which package is best for your needs. Measure your rooms and call us today for a free estimate. Can I walk on my carpet after cleaning? Yes you can walk on your carpet after Chem-Dry cleans. 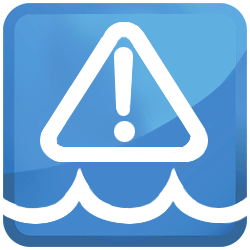 Chem-Dry carpet cleaning will dry in 1-2 hours and will be damp to the touch, not soaked. Just be careful that there is no dirt on the bottom of your shoes and be careful when walking from damp carpet to tile or marble floors so you don't slip.